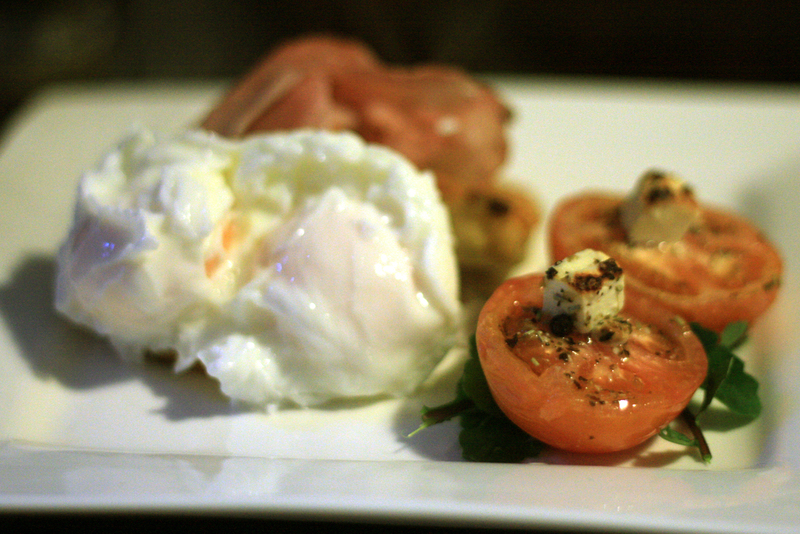 This is a slightly different take on my baked potato rosti and poached egg breakfast featured recently. I used basically the same recipe but this time doubled the quantity of eggs and rosti to two each. I also grilled some tomato halves with marinated goats feta on top and served with some fresh rocket from the garden and also heated a little shaved leg ham off the bone under the grill. It was a great way to start the day.